Quintessential Tours takes families, couples, and other small groups on guided, private tours of the Western United States, including California, the Southwest, the Pacific Northwest and the Rocky Mountains. 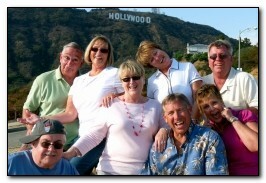 Each of our clients is treated to a tour that is uniquely tailored to their specific interests, needs and travel style. Each tour is conducted in a private vehicle, and is driven and guided by a tour director, who is fully dedicated to the success of the trip from beginning to end. Our service is unique in this part of the world. We only offer private tours, and we offer them only to very small groups. This singular focus allows us to devote our complete attention to creating a truly exceptional experience for each client. Our clients enjoy the flexibility and comfort of a do-it-yourself tour without all the hard work, both in preparation and in implementation. At the same time, they benefit from the insider's expertise and convenience of a guided tour without the rigidity or crowds of a bus tour. 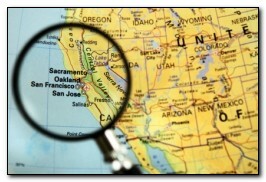 We specialize in the Western United States and Canada, from the Rocky Mountains to the Pacific Coast. Follow the links to see highlight destinations within each region. 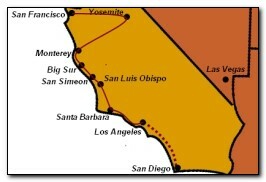 While our specialty is the West, we often get requests for travel further afoot. As a result, over the years, we have taken clients all over the continent. As of January, 2016, we've taken clients to 41 states, the District of Columbia, 3 Canadian provinces and 2 Canadian territories. Please inquire if you're interested in a trip that includes somewhere outside the West. Because our tours are custom-designed to each client, every itinerary is unique. Still, over the years, we've found that certain routes serve as the basis for many good itineraries. Here are a few of our most popular routes.